TITLE; Resuming business on 7th Feb! We are located @ Blk 448, amk ave 10, #01-1705, spore 560448. 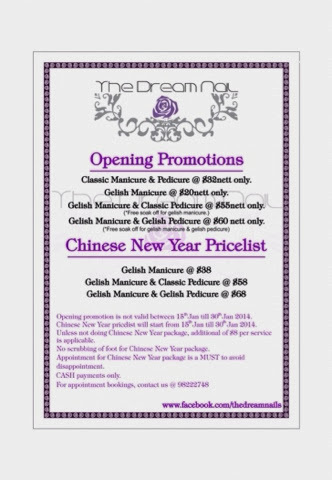 We are having the Opening Promotion till 28th February 2014. Dont miss these deals with us! Hurry book your appointment with us now! Resume business on 7th Feb 2014, 10am.